LSD relapse is not uncommon. Nevertheless, in most cases, people do not have the severe symptoms. This may make you feel like you do not need a treatment. However, it would be a very bad idea not to ask for help even when your addiction is mild. Addiction, be it psychological or physical, can lead to further complications. In fact, you might end up with irreparable health damages if you do not get an immediate help. You must let a concerned persons know that you are having some problems. It is here that your journey to a drug-free life starts. Lysergic acid diethylamide (LSD) has no known medical use. Thus, it is a pure drug. In fact, it’s a very powerful drug that can change how you perceive objects. Have you heard of Ergot? It’s a fungus that affects various grains, especially rye. This is the historical source of LSD. It causes hallucinations. That’s why they call it a hallucinogen. Because it has a high abuse potential, they categorize it under Schedule I. Notably, the pattern of its mild-altering effects varies a lot among the users. A rapid shift in the mood is a hallmark effect they experience. In fact, such is its potency that they get high within an hour using it. First, users have reported seeing things that do not exist. Then, you get a rapid elevation in heartbeat and blood pressure. Third, you have a little extra alertness, little need of sleep and shakiness. This is after a heavy use. Synonyms: They use more than 80 names. The most common names you will hear buying LSD on the streets include Acid, Cid, Trips, Blotter, Doses, Yellow Sunshine, and Dots. 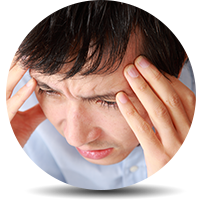 While the so-called addiction may be only in your mind, a physical dependence is uncommon. It means you will not experience any physical symptoms. Therefore, nothing will provoke you to take it compulsively. In essence, you could say it causes only mental dependence. However, this is in no way, indicates its use is safe. Regrettably, you may become tolerant. It results in the need for a higher dose to achieve the trip. This can be particularly more dangerous. It’s because it will increase the risk of overdose and various mental illnesses. As a matter of fact, relapse is an indispensable and often a very common problem of an addiction. As a result, the user becomes a victim of the drug dependence problem. You refrain from taking it for a certain period of time. Meanwhile, the withdrawal become so bad that you get back to taking it. It is especially the mental ones in this case. This is what they call a LSD relapse. You get undesirable psychological effects that occur during the abstinence. Those are the LSD withdrawal symptoms. During LSD withdrawal, some patients may experience “flashbacks”. Typically, a flashback is very much like the experiences that you used to have when you were on the drug. It can last for months or even years after you have become sober although LSD completely leaves your system in 36 hours. The two main driving factors that provoke LSD relapse. First, it is the cravings for some mental pleasure. Second, it is the need for an escape from some unpleasant experiences. The problems of LSD relapse are more psychological in nature than the physical ones. However, the frightening experiences resultant of a relapse warrant an immediate care. This way, we can prevent further damages. Here are some typical problems that may occur after a relapse. A little bit of determination and a few helping hands can help you prevent LSD relapse. Stick to your goals and keep the urges away by distracting your mind to something healthy. For instance, reading books, meditating, and exercising. Moreover, enjoying a holiday with your loved ones can be a great way to keep you busy. Remind yourself that it does not cause many problems with your bodily functions. Notably, LSD relapse, in most cases, occurs due to the urges to get high. There are no medications that can prevent a relapse. However, if your hallucinations get out of control, the doctor may recommend some medicine. In case, you happen to experience a severe symptom, talk to them right away. In the same way, they may also suggest some self-help measures. It will aim to keep you clean for an extended duration. Therefore, be thorough when you talk to them. Express your feelings and expectations. Then, seek genuine help. To know more about LSD relapse or its addiction, talk to the experts. They can provide an accurate information on a variety of addiction-related topics. Their knowledge and experience are invaluable to your journey to sobriety. In fact, with their guidance, you can expect a swift and complete recovery.